During Lent, most people pick something they love and give it up for 40 days. The Mo and I are doing a modified version and giving up on processed food, bread, rice, pasta and the likes for next 3 weeks, just in time for our trip to Dubai and Thailand! On weekends, we typically go to the gym in the morning and grab a huge brunch afterwards. What's the point right? I actually enjoy working out and like going to the gym. It's the EATING!! I cannot control myself and have no self discipline. Like the Mo says, "You're like a crack addict that knows how to make crack." The beauty of the low carb lettuce wraps is that you can customize them to your liking. 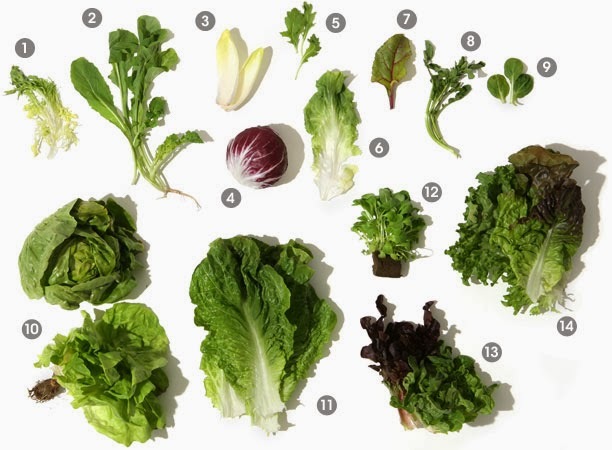 There are so many different varieties of lettuce that you can use for the wrap itself. You can use romaine, bibb, iceberg, red leaf and green leaf, I used the later. The Mo and I build our own wraps as we go. He likes jalapenos whereas its too spicy for my taste buds. I prefer summer squash and zucchini and he prefers lots of beansprouts. We both love Thai basil but he nixes the chive. For the filling, if you don't like shrimp, you can use chicken, pork or beef or all of the above. If you prefer one vegetable over another, you can stuff it with that too. Here is how I made the wraps today. Using a hand shredder, I julienne the summer squash and zucchini into long strips. I trimmed the ends of the chive. I bought a reduced price rotisserie chicken from the deli section at Market Basket. It's the leftover chicken from yesterday that they didn't sell and had to refrigerate at reduced the price to almost half. I paid $ 2.50 for this chicken. You can find it in the refrigerated deli section where they sell cheese and lunch meat ends. Typically, the small rotisserie chicken lasts us two meals for the both of us. To heat the chicken, I placed it in my NuWave at set the temperate at 350 degrees for 15 minutes for a crispy skin. I had some left over marinated steak tips and I pan fried a few minutes on each side to medium well. Next up, time to assemble the wraps. Add the meat your choice and roll into a wrap. Try to not over stuff the lettuce too much or it will become difficult to wrap. For the first one, I made a steak tip wrap. Following the same steps for chicken. People can opt for boneless and skinless to keep it light or they can keep the skin on for that nice crispy flavorful texture. 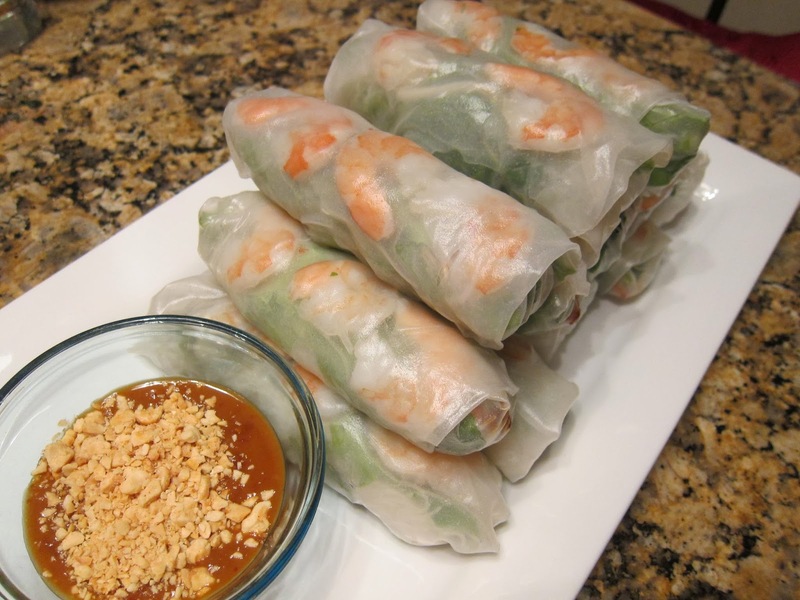 Serve with your favorite dressing or dipping sauce. You can use Hoison/peanut sate, Nuoc mam fish sauce dressing or any off the shelf dressing. Today I used my mother's homemade fish sauce with Sriracha and crushed peanuts. The sugar from the dressing definitely adds carbs to the meal. If you are looking for convenience, I would recommend any of the Asian "sesame-ginger" packaged dressings types found on the shelves at the supermarkets.